Information - Police patrol this area heavily. The woods do close at sunset, and they will tow your vehicle and arrest you. This is possibly the most haunted location in the Midwest and probably America. This cemetery was abandoned many years ago. It was used during the building of the cal-sag channel, where many men mostly bachelors died during construction. The cemetery is located about a quarter-mile south directly across from the Rubio Woods. The entrance is the blocked access road, next to the communication tower, you may only walk into this area. Again, park your car across the street and walk in. 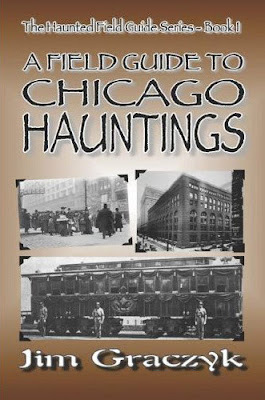 Activity - Numerous sightings of ghosts like figures, animals, a disappearing house, and strange mysterious lights. The pond is haunted by a farmer that seems to be plowing the area with a horse. Some people report seeing a black and tan rottweiler protecting the trail to the cemetery, yet the dog doesn't bark but just watches what you are doing. A few seconds later when they turn to look at the dog it had suddenly disappeared. Could this be a fence and dog?